Hi guys, Here i am back with Another Biggest Loot . UC News App is Back with another refer and earn contest. This time you can earn Rs.3500 On Sign up + Refer & Earn Rs.8000 Directly In Bank Account or paytm cash. Uc News Comes Up With Another Big Loot Where They Are Giving Rs. 8000 in Your Bank by referring You Start Referring Friends . Refer As Many Friends as You Can To Get 8000 . You are Getting Rs.3500 On Sign Up & With Few refers You Can Complete The Rs.8000 In Your Paytm Account. Let’s Go In to this post. 7. Done!! You are now eligible to Invite your Friends on Uc News. 2. Click On My Code And See Your Code . 3. Share It With Your Friends And Earn Upto 8000Rs . IPL is just around the corner! UC News looks for trendy Cricket Lovers! – Invite friends to UC News and enter your code, get your exclusive Rs. 8,000 CricFund! – Any participant has a chance to win Rs. 8,000 CricFund. – The participants can redeem Rs. 8,000 only when it is 100% collected. – Download UC News to collect more money. -To collect the remaining money, you can ask your friends to download UC News and enter your code. – The more friends you invite, the faster you can win your Rs. 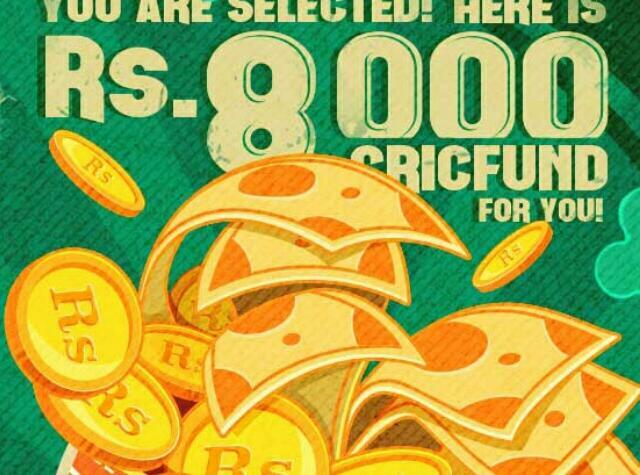 8,000 CricFund.